Rottweilers are strong dogs with black and brown coats. They are playful, active, muscular and very trainable. 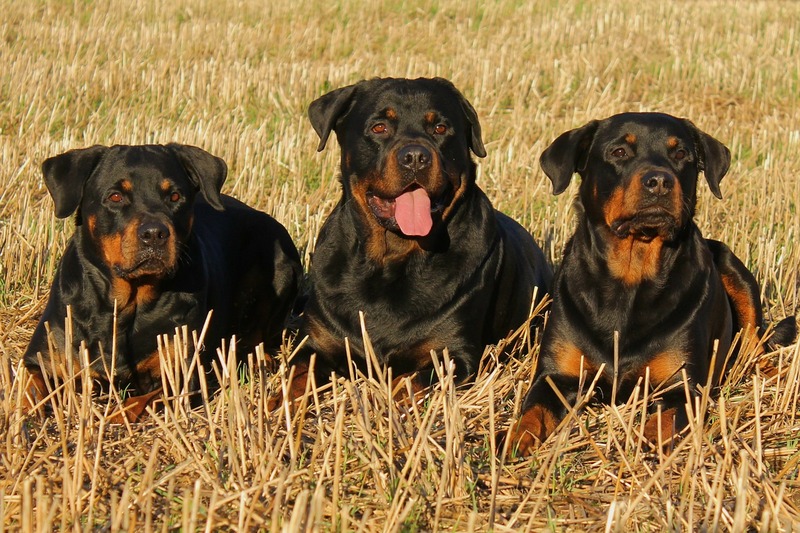 One of the special tips that every rottweiler owner should know prior to training is that one needs to practice patience when training this dog breed. The basic training skills apply to training a rottweiler dog. Training a rottweiler requires that you maintain commitment to the process. You should be patient with a rottweiler whether or not it is a puppy or an adult. You can teach a rottweiler a command in the morning and he will not remember it in the afternoon. Do not get frustrated. Simply practice patience and teach him again. Eventually, your rottweiler will know all your commands and respond to them anywhere, anytime. If you want your rottweiler to be perfect at following your commands, you should begin training him while he is a young puppy. You can begin the training when your rottweiler puppy is between 6 weeks and 6 months old. Due to the quick learning nature of young puppies, your rottweiler will understand and perfect your training commands faster. You can train your rottweiler even after he is more than 6 months old. However, you need to be patient since he will not learn as fast as a puppy would. Don’t worry. Rottweiler dogs are smart, loyal and immensely obedient. As such, your dog will learn your commands and implement them according to your will in no time. Make sure that you use positive reinforcement. It will help your dog to understand and be willing to follow your commands. There are some amazing examples of trained rottweiler dogs. These dogs are heavy set, strong and intelligent. As such, they are often used in the military. Is Rottweiler a good guide dog? A rottweiler can be an amazing guide dog. It is strong, confident and obedient. As such, it is perfect for a guide dog. Once trained, this dog will easily follow commands and perform any action that its owner requires. This dog descends from Roman droverdogs. They were used for guarding duties. As such, they are great with following authority. They are also used by the police, rescue operators as well as guiding the blind as they go about their daily activities. A rottweiler is often seen strictly as a guard dog. They are muscular dogs with aggressive looking features. Yes, they do make great guard dogs. However, they can also be warm and lovable. They can be trained to socialize and play with the kids as well as adults. The rottweiler has many characters about him and the strongest of these is love. This breed is one of the most loyal breeds that you will ever encounter. As such, the dog is a fast learner and remains loyal to its master throughout its life. Though the rottweiler has got a reputation for its aggressiveness, it must be noted that a well trained rottweiler can be calm and submissive to his owner. It is the owner’s responsibility to invest time and effort to cultivate discipline in their pet rottweiler.